In the midst of the horrors of the First World War, God blessed the world with a beautiful gift. 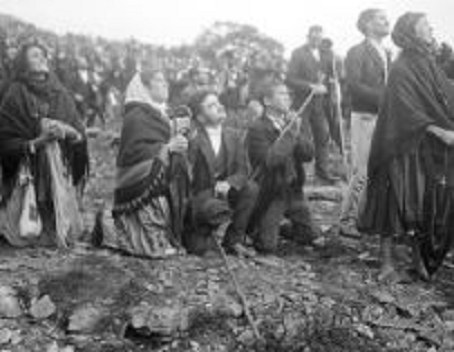 A spectacular message about the importance of adoration to God was brought to Fatima, Portugal by the angel whose appearances in 1916 prepared three children for the coming of the Mother of God in 1917. 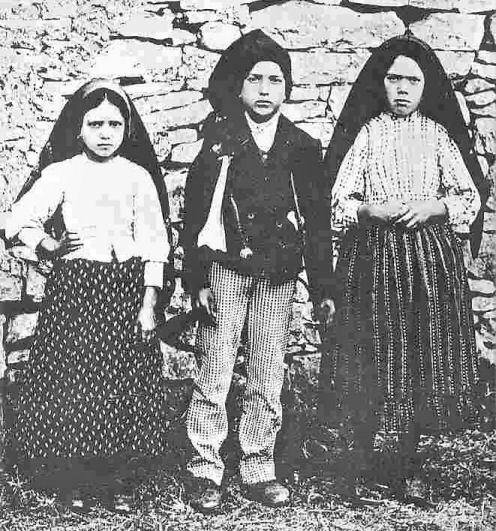 October 13 of 2011 marked the 94th anniversary of one of the most widely-known Marian apparitions in history – the final appearance of Mary to three shepherd children – Lucia, Jacinta, and Francisco. 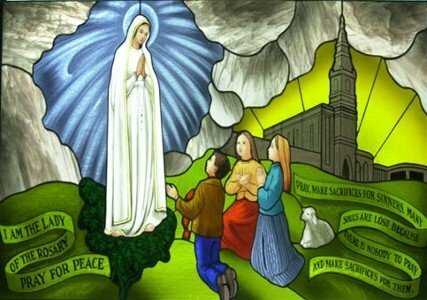 For six months, always on the 13th day of the month, the Blessed Virgin had appeared to the children with the hopeful message that the rosary would bring about world peace. “We went on that occasion to my parents’ property, which is at the bottom of the Cabeco, facing east. It is called Chousa Velha. “About the middle of the morning it began to drizzle and we climbed up the hill, followed by our sheep, in search of a rock that would shelter us. And so it was that we entered for the first time into that blessed place. It is in the middle of an olive grove that belongs to my godfather, Anastacio. From there one can see the village where I was born, my father’s house, and also Casa Velha and Eira da Pedra. The olive grove, which really belongs to several people, extends as far as these places. ‘Pray in this way. The hearts of Jesus and Mary are ready to listen to you’. 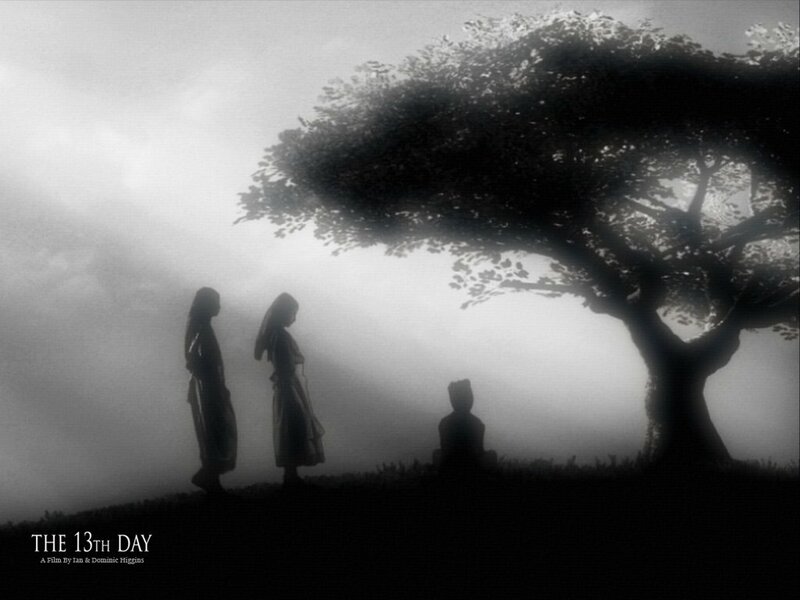 In that initial encounter, a great light approached the children from the east. The light was whiter than snow in the form of a young man. The man was transparent – like crystal. The angel’s first words to the children: “Do not be afraid.” This angel performed one of the primary tasks of angels – that of God’s messengers. The peace and happiness which flowed through the children as a result stayed with the children long after the angel disappeared. 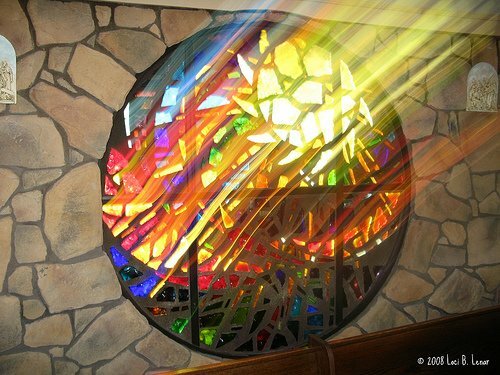 Next words: “I am the Angel of Peace.” The angel then invited the children to pray, saying, “Pray with me.” This represents another function of the angels – to assist us in prayer. Prayers of the angels help to draw us into the presence of God. The angel went on to teach the children a prayer that stayed with them the rest of their lives: “O my God, I believe; I adore: I hope, and I love you. I beg your pardon for those who do not believe, do not adore, do not hope, and do not love you.” After the angel left, the children spent hours repeating the prayer until they had memorized it. The angel then knelt down, prostrating himself – a lesson in humility and reverence for us. This was the first of the appearances of the angels to the children. It would be followed by two more visits. The second apparition took place in the summer of 1916. It was after lunch – an angel appeared next to them at a cistern outside of Lucia’s house in the back garden. The angel again called them to prayer. 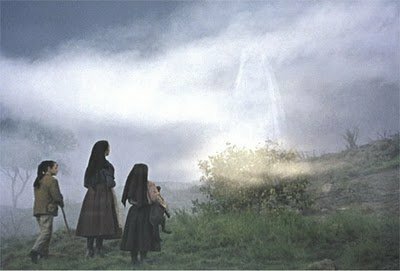 The third apparition took place while the children were in the field tending to sheep. This time the angel appeared with a chalice and bread. “I don’t know why, but the apparitions of our Lady produced in us effects quite different from the angel’s visitations We felt in both instances the same intimate happiness, peace and joy, but instead of the physical prostration the angel imposed, our Lady brought a feeling of expansion and freedom; and instead of this annihilation in the divine presence, we wished only to exult in our joy. There was no difficulty of speech when our Lady appeared; there was rather on my part a desire to communicate. The appearances of Mary continued as promised. The sixth and final apparition occurred on Oct. 13, 1917 with approximately 70,000 people from across Europe attending despite a horrific rain storm. 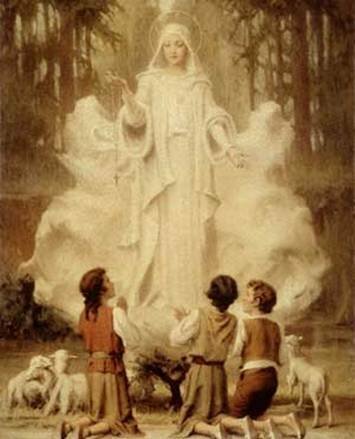 Mary had told the children that she would perform a miracle in hopes that the skeptics would believe in the apparitions. The crowd witnessed what has become known as “The Miracle of the Sun.” On that day, the sun appeared to stand still, then spin in the sky before falling toward Earth and returning to its place in the heavens. Because of the heavy rains earlier in the day, the ground and the crowds were soaked; but after the Miracle of the Sun, everything was dry again.